That’s right — instead of a case that turns your iPhone into a wallet, Wally, the latest Kickstarter project from Distil Union, sort of does the opposite. 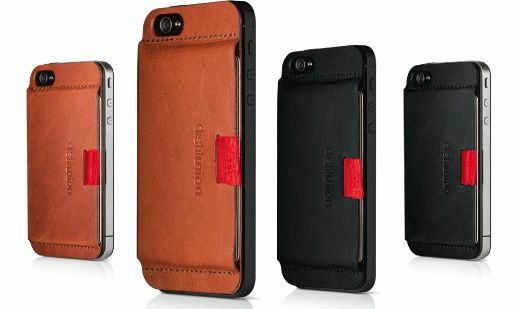 It’s a slip of leather that attaches to the back of an iPhone 4 or 5 via something called “micro-suction,” and creates a cavity with just about enough space for three of your most-used cards. Savvy readers will recognize the name Distil Union from their first Kickstarter project, the sleep-empowering Snooze. And just like Snooze, Wally seems stuffed with good, simple design. It’s thin and stealthy, made from Italian leather and sports a little red pull tab to make accessing your debit card easy after those late-night pub crawls. It’ll even attach to cases with a slick or glossy finish. Wally is $40 during the Kickstarter pledge period.